If you're stressing out about stretch marks, don't despair – 90% of white skinned women get stretch marks during pregnancy and 75% of women in total, so you are by no means alone. Some women can live and love their stretch marks, but many others prefer to find remedies that will help them fade and be smoothed out. One of these remedies is Rescue Oil, which many women have found a godsend, thanks to its ability to soothe and improve the skin, using a specialist blend of natural oils, containing Vitamin E, Evening Primrose oil, Almond oil and Peach Kernal oil. 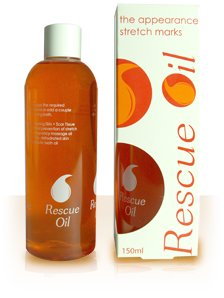 Testimonials for Rescue Oil suggest that many women simply could not live without it, both for its benefits and its highly affordable price tag, but its benefits can be backed up by simple lifestyle changes such as drinking plenty of water and taking vitamins and minerals. You can also use a brush or washcloth to massage Rescue Oil around your stretch marks. As with anything, prevention is better than cure and using Rescue Oil before pregnancy will help the skin cope better with what comes its way during the 9 months that you are carrying your child. 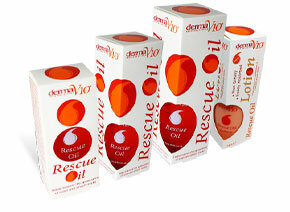 Find out more about the benefits of Rescue Oil and why not give it a go. At such an affordable price, you can't really go wrong.